Commissioner Margrethe Vestager may wave through a Dutch mobile merger but not the Siemens-Alstom rail deal. One decision hints at flexibility in the EU’s antitrust thinking. Still, politicians hoping to build regional champions to counter the U.S. and China will be disappointed. 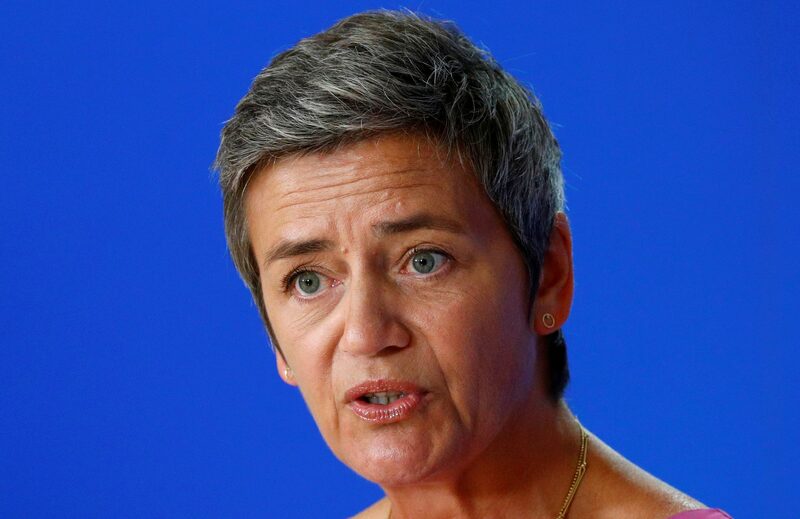 European Competition Commissioner Margrethe Vestager holds a news conference at the EU Commission's headquarters in Brussels, Belgium July 24, 2018. European Commission antitrust regulators have indicated that Siemens and Alstom will have to give up high-speed train technology and signalling assets to gain clearance for their rail merger, the Financial Times reported on Nov. 27, citing people with direct knowledge of the competition review. Competition Commissioner Margrethe Vestager is unconvinced by the companies’ arguments that the pair need to combine to fend off Chinese rivals, the FT said. The commission’s competition unit opened a full-scale investigation into the Siemens-Alstom train deal in July. Deutsche Telekom’s proposed acquisition of Tele2’s Dutch mobile business will win unconditional antitrust approval from the European Commission, Reuters reported on Nov. 26 citing sources familiar with the matter. Deutsche Telekom said in December 2017 that it would acquire Tele2 NL for 190 million euros in cash and a 25 percent stake in the combined company. The commission in June opened a full-scale investigation into the Deutsche Telekom bid, concerned that a deal reducing the Dutch market to three players from four would hurt competition and lead to price increases for consumers. Tele2 shares rose 9 percent on Nov. 26 and Deutsche Telekom 1 percent. Siemens shares were flat at 0900 GMT on Nov. 27, while Alstom shares were down 1.8 percent.